NBC is partnering with the acclaimed "Smash" producing team of Craig Zadan and Neil Meron (film versions of "Chicago" and "Hairspray") to present a live broadcast of THE SOUND OF MUSIC based on the original Broadway musical, it was announced today by Robert Greenblatt, Chairman, NBC Entertainment. "It is our supreme pleasure to broadcast -- live -- a new version of the seminal Broadway musical THE SOUND OF MUSIC for a whole new generation," said Greenblatt. "There used to be a tradition of broadcasting musicals live back in the 1950s and we're thrilled to do it once again with a musical that has been a family classic for five decades. There is no more talented and creative producing team than Craig Zadan and Neil Meron to bring Rodgers and Hammerstein's final - and most beloved - collaboration to network television in this groundbreaking live telecast." "It isn't our intention to produce a remake of the movie version of THE SOUND OF MUSIC - that would be artistic blasphemy," said Zadan. "What we want to do, instead, is to give audiences a completely fresh experience of this great Tony Award-winning stage musical in the form of a classic television event, combined with the spontaneity of a live performance. And all of the actors will be singing live; there will be no lip-synching to pre-recordings." "This groundbreaking 'hybrid' of sorts will be based on the stage musical," added Meron, "and will feature all the classic songs that audiences associate with THE SOUND OF MUSIC -- including the title song, 'Do-Re-Mi,' 'Climb Ev'ry Mountain,' and 'My Favorite Things' -- plus a few wonderful songs from the Broadway version that people are less familiar with." "With today's exciting announcement, NBC is breaking new ground by reviving a tradition from another era: staging a full Broadway musical live on television," said Ted Chapin, President of Rodgers & Hammerstein: An Imagem Company. "We are thrilled that Bob Greenblatt has chosen THE SOUND OF MUSIC to be that Broadway musical -- its story of the von Trapp family and its timeless Rodgers & Hammerstein score are known and loved all over the world. 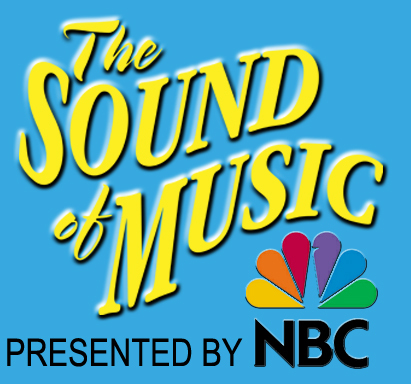 We have had the honor of working with producers Craig Zadan and Neil Meron before, and look forward to working with them again to make THE SOUND OF MUSIC a major NBC television event." THE SOUND OF MUSIC, set in pre-WWII Austria, is based on the romantic true story of Maria von Trapp, an aspiring nun who leaves the Abbey to become a governess for the widower Captain von Trapp's seven children and finds herself falling in love with her employer and questioning her religious calling. It premiered on Broadway in 1959, where it broke box office records and won the Tony Award for Best Musical. Today it is an evergreen classic - as popular in opera houses and outdoor amphitheaters as it is in high school auditoriums. THE SOUND OF MUSIC features a libretto by Howard Lindsay & Russel Crouse and a score by Richard Rodgers (music) and Oscar Hammerstein II (lyrics) that includes "My Favorite Things," "Do-Re-Mi," "Edelweiss," and "So Long, Farewell." Zadan and Meron are the producers of highly-regarded and award-winning feature films, television movies, series and Broadway productions, including NBC's critically-acclaimed series "Smash" and the Lifetime hit series "Drop Dead Diva." All totaled, their films and television movies have garnered six Academy Awards, five Golden Globes, 11 Emmy Awards, and two Peabody Awards. For their work in television, their movies have amassed 69 Emmy nominations. Their work in theater has received 12 Tony nominations, including two wins. They also have received five Grammy nominations, including one win. Their feature film credits include the Oscar winning "Chicago," "The Bucket List," the feature-film musical "Hairspray," and most recently, 2011's "Footloose" (the original film, starring Kevin Bacon, was Zadan's first feature-film production). 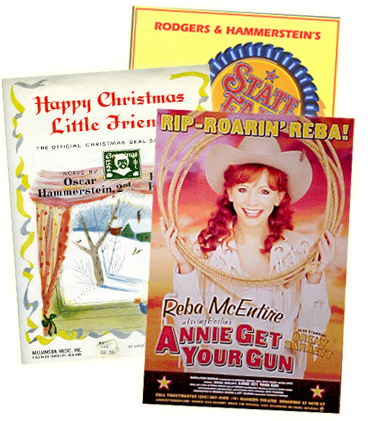 Other television event presentations include: Meredith Willson's "The Music Man," starring Matthew Broderick and Kristin Chenoweth, which received five Emmy nominations; "Life with Judy Garland: Me and My Shadow," starring Judy Davis; "Annie," starring Kathy Bates, which won two Emmys and a Peabody Award; "Rodgers & Hammerstein's Cinderella," starring Whitney Houston and Brandy, which received 7 Emmy nominations; "Gypsy," their first television movie event, starring Bette Midler, which received 12 Emmy nominations; "Raisin in the Sun," with Sean Combs, Phylicia Rashad, Audra McDonald and Sanaa Lathan, which was nominated for three Emmys; and "Serving in Silence: The Margarethe Cammermeyer Story," starring Glenn Close, a landmark movie which won three Emmys and a Peabody Award. Recently, Zadan and Meron were represented on Broadway with a Tony-winning hit in the 50th-anniversary revival of the Frank Loesser musical comedy, "How to Succeed in Business Without Really Trying," starring Daniel Radcliffe and John Larroquette. The revival was nominated for eight Tony Awards (winning one), four Astaire Awards, three Drama League Awards, five Outer Critics Circle Awards and five Drama Desk Awards. I am so excited about the remake of Sound of Music, That is my all time favorite movie. My mom bought me that movie about 30 years ago. I can't wait to see the remake. I'm really excited about this live performance. BUT............WHO will be Maria? I pleadingly URGE those involved with the casting process to look no further than..........Sierra Boggess! Her rendition of "I Have Confidence" on the upcoming "R&H At The Movies" is all we need to know. THIS is the ONLY girl for the role. And, WHAT a voice!!!!! so pleased to hear this that we will get a performance of this great show that will I'm sure be so close to the original production with Mary Martin and we will get to see and hear those great songs wriiten for the show, but cut out of the film.